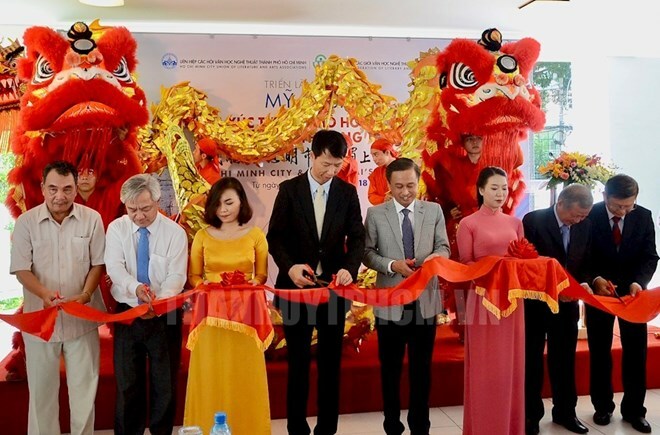 Nearly 60 paintings featuring the urban life by more than 50 artists from Ho Chi Minh City and Shanghai city of China are being displayed at an exhibition in the Vietnamese southern hub. The exhibition is jointly held by the HCM City Union of Literature and Art Associations (HCMC ULAA), and the Shanghai Federation of Literary and Arts Circles (SFLAC). Addressing the opening ceremony on September 1, President of the Vietnamese union Tran Long An said the HCMC ULAA and the SFLAC established the twinning relationship many years ago. Their exchange of visits has helped artists of both cities share experience, he said, adding that the display will contribute to enhancing partnerships between the two organisations and enriching the literary and art life in each locality.